Mihwadang Record on the big street near Hongdae is a record shop with 30 year of history. 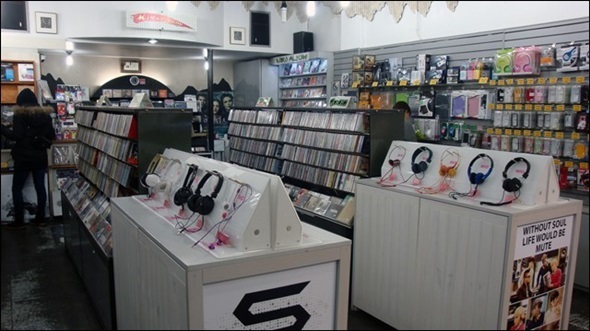 They have world music, new-age, J-pop, and imported records and all albums are neatly classified according to the genre. This shop is the only record shop in Hongdae that has a separate music DVD corner. It sells different types of headphones and ear phones other than the albums.